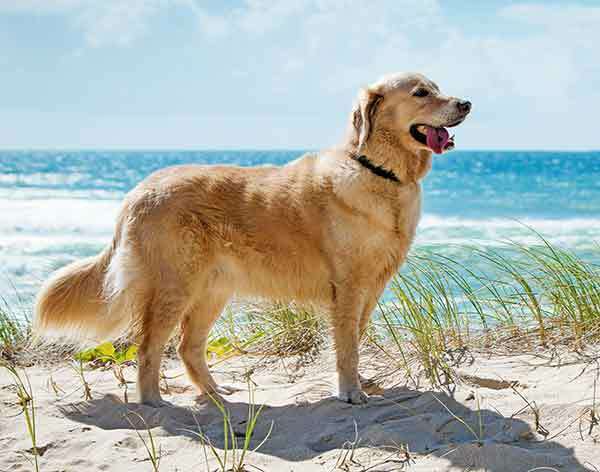 Discover the Golden Retriever dog breed in this handy information center. 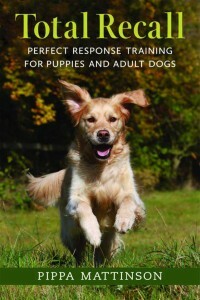 And explore Golden Retriever personality, origins, and health issues. How much does it cost to get a Golden Retriever? What do Golden Retrievers die from? 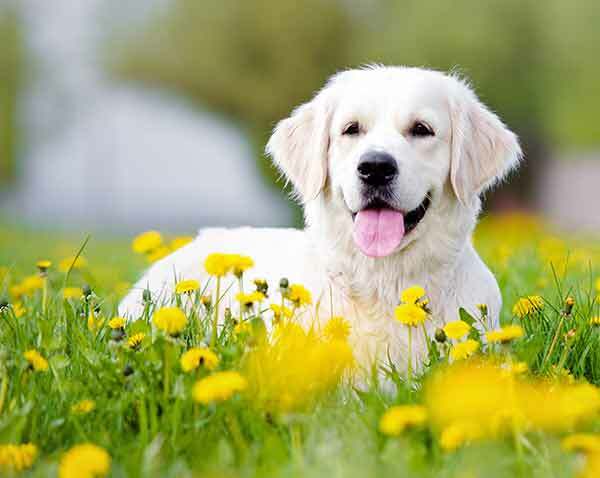 Use the quick links throughout this article to find Golden Retriever FAQs and care tips. Scroll on down for a complete and in-depth guide to this wonderful dog breed. The Golden Retriever is a very popular dog, and it isn’t difficult to see why. 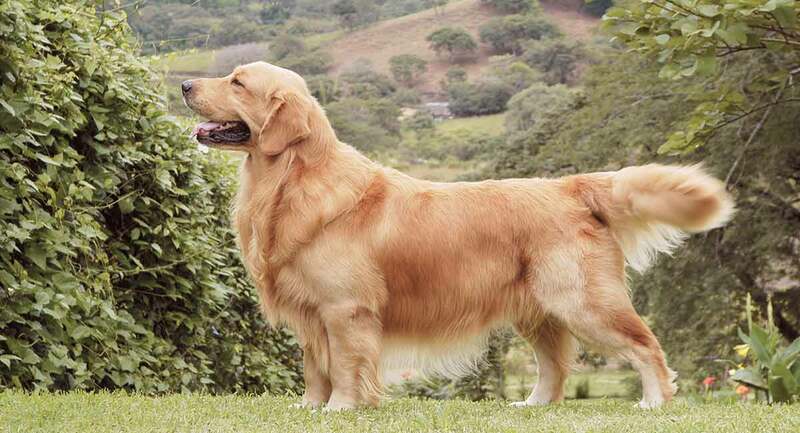 A combination of beauty and a kind temperament has made the Golden Retriever one of the USA’s favorites for many years. We are going to take an honest look at this gorgeous, charming dog. Not just at the things which make him so popular. 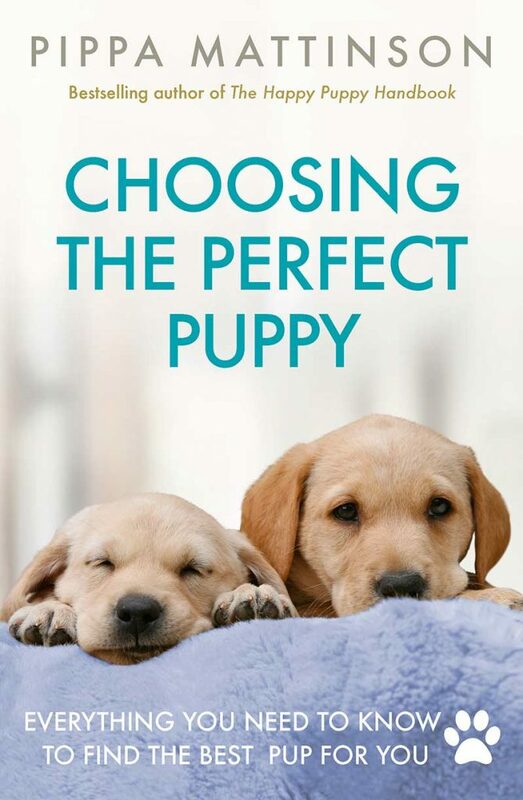 We’ll also look at the potential downsides and pitfalls of bringing home a new Golden Retriever puppy. 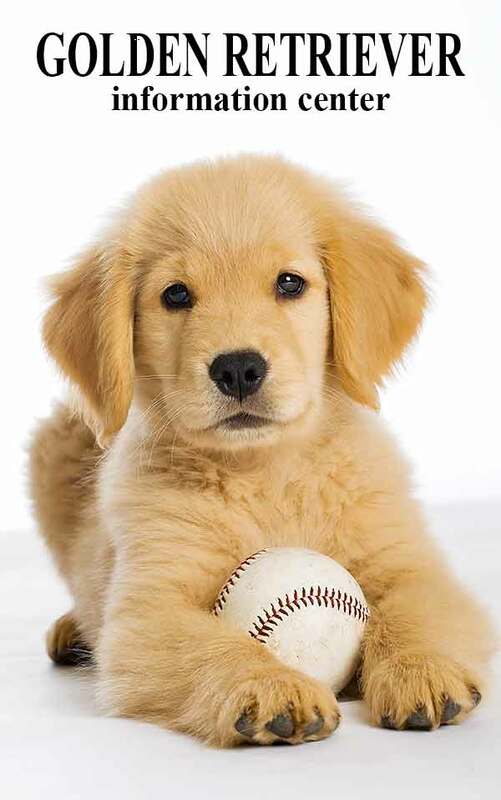 We will help you to decide whether the Golden Retriever is the right breed for you. And to decide if now is a good time to bring a new Golden Retriever puppy into your life. The Golden Retriever is a breed that dates back to the early 1800’s. A gentleman living in the Scottish Borders, Lord Tweedmouth bred dogs. He was thought to have mated a yellow Flat Coated Retriever with the now sadly extinct Tweed Spaniel. It has been suggested that wavy coated Retrievers and Setters also formed a part of their early breeding program. Along with the Bloodhound, although I haven’t been able to find the source for this. These gorgeous dogs were bred and shown under the category of Flat Coated Retrievers. That was until the early 1900’s, when they were given their own category. Becoming officially ‘Golden Retrievers’ as late as 1920. 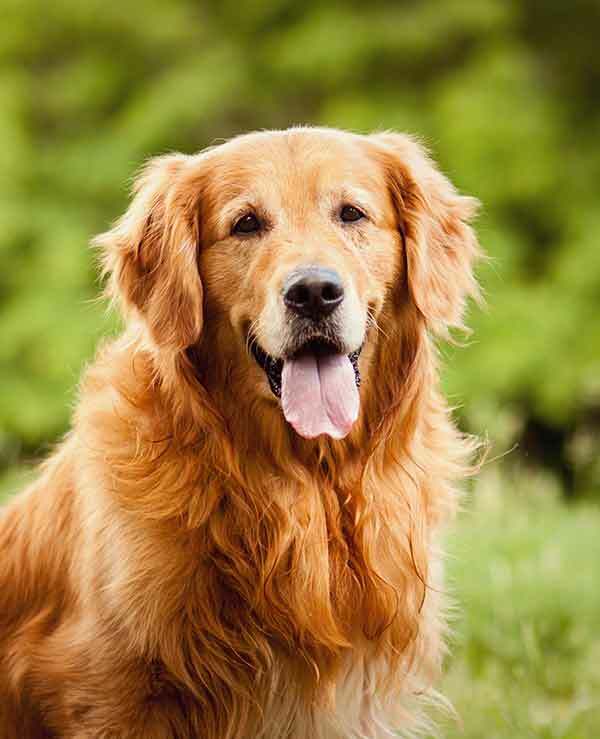 Over the last hundred years Golden Retrievers have become one of the most common dogs around, and with good reason. 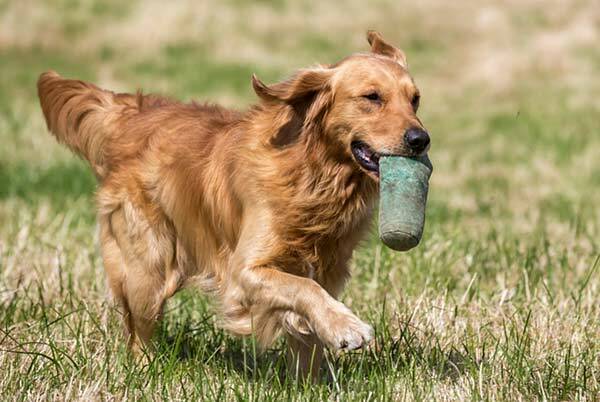 Like several gundog breeds, the Golden Retriever has in recent years become somewhat divided. Into those bred for the show ring and those intended for working uses. The division is not as pronounced as with some breeds but it is worth mentioning. If you are looking to work or compete with your dog you will need to make sure that their lines are right. Show bred Golden Retrievers tend to be broader and have paler, thicker coats. Working bred Golden Retrievers have a slighter, more pointed skull, rangier legs and a darker, thinner coat. Their general appearance though is similar, and their temperaments again do not differ to a great degree. You will probably find a show bred dog slightly less serious and a little less mature. And a working bred dog might look a little less like the postcard Goldie. There is also a growing trend for cross-breeding Goldens with other breeds of dog. A trend that can have both benefits and disadvantages. You can’t achieve the same consistency of appearance and temperament with a mixed breed Golden. But there are sometimes health benefits to a more diverse genetic make-up. Not all mixed breed dogs are healthy though, so check out our reviews for an honest appraisal. Golden Retrievers are large, powerful dogs with long fur and an athletic build. They are strong and bred to be hard working and very loyal to their owners. They are also very fluffy. With a fairly high maintenance coat, made up of long wavy fur with a dense water resistant under coat. The texture of the fur can range from very wavy to almost flat, and shaded from lightest cream to dark gold. Working bred Golden Retrievers tend to be of the darker variety, verging on reddish shades at their darkest. Show bred puppies are often a very pale cream or a lighter golden shade. They may also have a few white furs in places. Any dog in the breed can have a white chest to a smaller or greater degree. However this is considered a fault by the Kennel Club. Your Golden Retriever puppy will grow into a large adult dog. Around 22 inches tall and weighing anywhere between 55 and 75lb. Those pups from working lines will likely be at the lighter end of this spectrum. And those from show lines at the heavier end, with a considerable amount of crossover in the middle. Females will also be lighter than males in general. Their eyes are notable for being dark brown and rimmed with a dark ‘eye liner’ marking. Adding to their distinctive expressive faces. Their ears are floppy and well furred, but should still be able to move. Pure bred Goldens have balanced bodies, with a straight back and legs in proportion to their backs. Their muzzles are pronounced, with wide powerful jaws and a black nose. 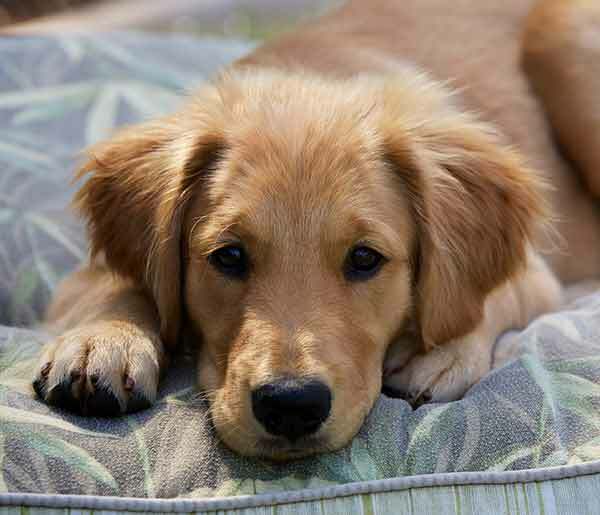 With this traditionally wolf-like physical shape your Golden Retriever puppy should grow into a fit and active dog. One who exercises with ease and has the potential to gracefully run, jump and swim. Although you may have to spend some time getting the mud out of their fur after a muddy day’s exercise! Most Golden Retrievers have genuinely lovely personalities. They are cheerful, biddable, intelligent and devoted companions. Not only adoring to their families, but generally very happy to greet friends and strangers into the house with open arms. They are definitely not nature’s guard dogs. Socialising your puppy is still important to keep him feeling confident when meeting new people and going to new places. He should have a fairly positive natural disposition to everyone he meets. When you meet your puppy’s mother, make sure that she seems entirely relaxed in your presence. Coming up to greet you with a wagging tail when you arrive. They are normally good with children. However younger Goldies may accidentally knock them by bouncing up, or as a result of their enthusiastically wagging tail. It is sensible to keep any large dog supervised when little children are around due to the unpredictable nature of their interactions. And to protect them both from accidentally upsetting the other. Have a good dog crate and an area of the house where the dog can retreat to when necessary. This will help them to keep a healthy relationship. 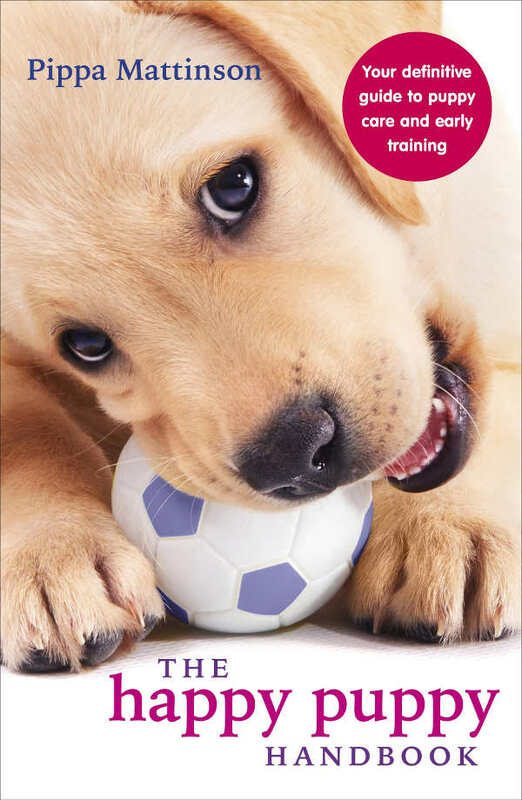 The Golden Retriever is also clever and easy to train. Golden Retrievers are intelligent dogs. They have been put to a lot of important roles in society. 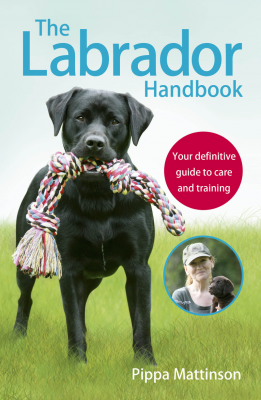 From guide dogs to drug dogs, search and rescue to bomb detection. The Golden Retriever’s inclination to please and responsiveness to food motivations means he is an excellent working and living companion. They also do very well in agility and obedience competitions. And excel when trained using modern positive reinforcement methodologies due to their eagerness to please and love of treats! It is worth mentioning that although Golden Retrievers are relatively easy to train, they are very big and strong dogs. This means that training is not really a choice. Unless you want to spend the next few years picking up knocked over guests. Or being dragged around at the end of a lead on walks. As your puppy is likely to love people and other dogs. As well as going for a walk, you will need to teach him the right way to behave. This applies when on and off the leash, in order to make sure your time spent together outdoors is fun rather than stressful. Teaching your puppy to walk to heel will make life with your friendly Golden Retriever much more fun. Golden Retrievers are athletic, intelligent dogs. They therefore need plenty of physical and mental stimulation in order to be happy and settled at home. Your time spent dog training can account for a large chunk of these requirements however, with activities. Obedience training, retrieving and advanced agility are fun ways to get you both together and burning off some excess energy. Although they may well be vocal when someone knocks on the door, this will usually be down to excitement rather than nerves or aggression. Golden Retrievers are not naturally terribly vocal. Raise your puppy not to bark at guests by making sure that you ignore noise from a young age. If you are looking for a dog with a low maintenance coat, then a Golden Retriever is not the right breed for you. They are profusely shedding dogs. Ones who need daily grooming and even then will leave your house and clothes with a light layer of fur. When you bring your puppy home you will quickly need to get them used to being brushed. Daily grooming can be a nice bonding activity between you and your dog. Make sure it is a familiar and pleasurable experience to him from a young age and you will find this much easier to keep on top of as he grows. A good quality dog brush and an excellent dog hair approved vacuum cleaner are essential items for the Golden Retriever owner. It is also advisable to check your Golden Retriever’s ears regularly. The fur surrounding them can catch dirt and make ear infections more likely. Regular ear cleaning and keeping the fur close to the inner ear cut short will all help to reduce the chances of ear infections. The breed are generally robust and healthy dogs. However, there are some serious concerns that you need to be aware of before you go searching for your puppy. Like most pedigree dog breeds, the closed gene pool has led to a prevalence of some inherited diseases which are established in the gene pool. Some of these you will find in many large breed pedigree dogs, and they include hip dysplasia, elbow dysplasia and PRA blindness. When you look for your Golden Retriever breeder, ensure that the mother and father are both PRA clear. And that their hip and elbow scores are better than the breed average. There is some serious evidence to suggest that cancer is a real problem in Golden Retrievers. In a Kennel Club and British Small Animal Veterinary Asssociation report on the breed, it was shown that the cause of death attributed to cancer amounted to just under 40%. This sounds high and it is, especially when you compare it to another study which looked at overall dog mortality rate from cancer and found it to be around 14%. The best way to find a puppy with a lower chance of suffering from cancer is to get one with older parents who are cancer free. Preferrably from lines of dogs who lived to a higher than average age without suffering themselves. You do not want a pup’s mother to be over 8 years old for the sake of her own health, but there is no time limit for a stud dog in the same manner. In terms of reducing the risk of cancer, the older the stud dog the better! On average Golden Retrievers live from 10 to 12 years. However, if they manage to avoid the common problems with cancer, they can live significantly longer than this estimate. A purebred Golden Retriever puppy from a reputable breeder in the USA may cost you between $1,500 and $2,500. In the UK you won’t get a lot of change from £1000 for a purebred Goldie pup. And prices may be higher in some regions than others. Golden Retrievers are large and hairy dogs. They need plenty of space inside and outside. Their feathery tails have a habit of knocking items off furniture and occasionally small children off their feet. However, if you want an all-round gentle natured, fun, exuberant member of the family then a Golden Retriever is a great choice. With plenty of time free to dedicate to training, and a focus on exercising your puppy’s brain as well as his body, you will end up with a dog to proud of. Who will happily accompany you wherever you get, get along with whoever they meet and provide you with a great deal of love in the process. Proschowsky H et al. 2003 Mortality of purebred and mixed-breed dogs in Denmark. Prev Vet Med. Fleming J et al. Mortality in North American Dogs from 1984 to 2004: An Investigation into Age‐, Size‐, and Breed‐Related Causes of Death. Journal of Veterinary Internal Medicine. Do all golden retrievers drool? I’d add to your physical description of golden retrievers that the dogs smell pretty doggy (esp compared to short-coated or non-shedding types of dogs). Some people really dislike doggy odor, and if they do, they shouldn’t get a golden retriever.